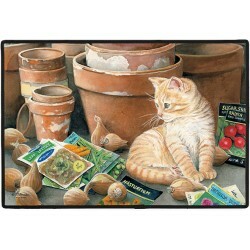 This beautiful entrance doormats will make a lovely welcome mat for your home. Made with a 100% polyester face and permanently dye printed & fade resistant for long lasting use. Has a non-skid rubber backing and a durable polypropylene web trim. Measures approx. 18" x 27" and Made in the USA! 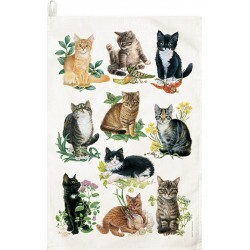 Generously sized at 22″ x 32″ with a sewn in cotton corner loop for hanging, silk-screened with organic pigments. 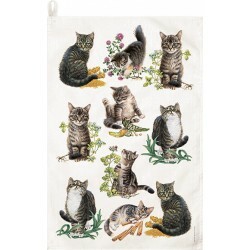 This eco-friendly collection will help any cat lover capture their kitchen style with these novel home accents. Screen printed in the USA.